BEST CHOCOLATE CHIP COOKIES – This ‘best chocolate chip cookie recipe’ makes the most perfect homemade chocolate chip cookies! Loaded with chocolate chips, I’ve spent years perfecting how to make cookies that are chewy, soft, and slightly crispy with a slightly crackled top. 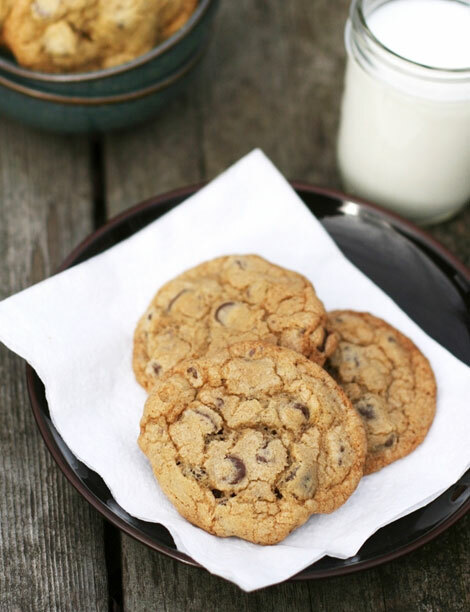 You’re going to love these award-winning, easy BEST EVER CHOCOLATE CHIP COOKIES! 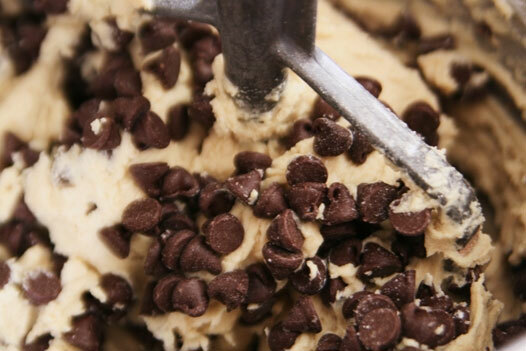 WHAT MAKES A BEST CHOCOLATE CHIP COOKIE RECIPE? 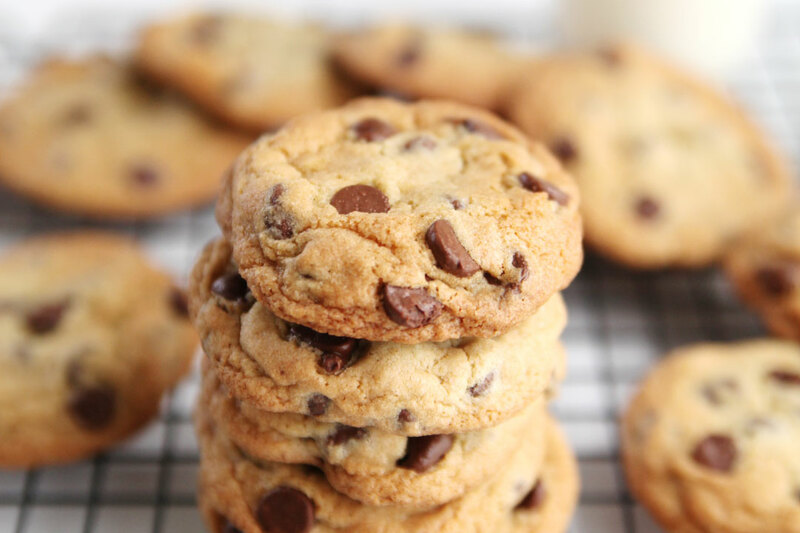 Perfect chocolate chip cookies that are soft on the inside, chewy on the outside, with a slight crispy bottom. Easy to make, you’re going to love biting into these best chocolate chip cookies that are loaded with chocolate chips! 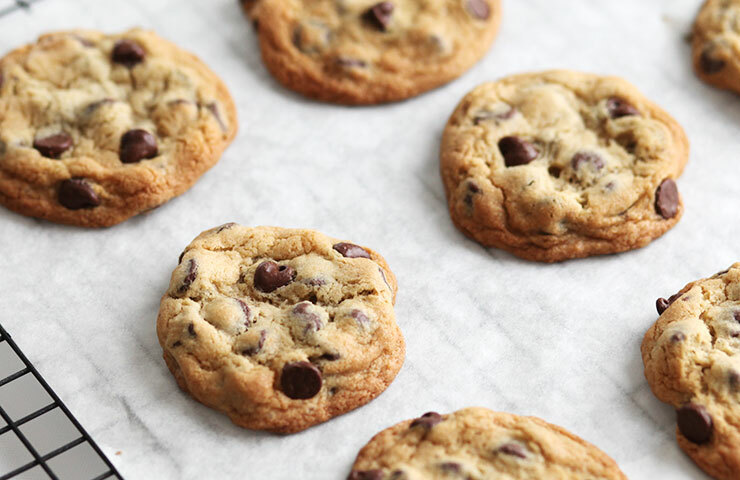 They really are the best ever, and the only chocolate chip cookie you’ll ever need! My chocolate chip cookies are ‘The Best Chocolate Chip Cookie Recipe, Ever’ after being challenged into a Twitter Bake-Off in 2009. 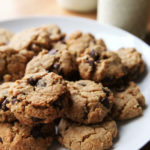 Loaded with chocolate chips, what sets this chocolate chip cookie recipe apart is the fact they are perfectly soft and gooey on the inside, chewy on the outside, with a slight thin layer of crispiness to the cookies. Not many people can claim their chocolate chip cookies are award-winning, but I can! So can several other people who’ve used this Best Chocolate Chip Cookie recipe to enter and win blue-ribbon baking contests – that is the ultimate compliment! The story of the ‘best chocolate chip cookies ever’ all started when I started blogging. I’d always wanted to share what only my friends and family had only known, “Alice’s best chocolate chip cookie recipe” but up until this point hadn’t shared it with the world. You see, my chocolate chip cookies are insanely good. The problem is, EVERYONE and their grandma thinks their chocolate chip cookies recipe is the best, too. So, I decided I wouldn’t do a post on my ultimate cookies because it seemed overplayed (putting it mildly). I didn’t have it in me to enter the “I have the best chocolate chip cookies” rat race. Back in 2009 on Twitter I asked why people believed their homemade chocolate chip cookies were the best. After some friendly trash-talking, Ashley Rodriguez and I would engage in the ” Best Chocolate Chip Cookie Ever Twitter War,” and the following week we engaged in the ultimate chocolate chip cookie bake-off. These chocolate chip cookies should have a slightly crackled top like the photo. We weren’t the only ones baking our chocolate chip cookies. People who followed our chocolate chip cookie battle on Twitter also baked them sharing their findings on their food blogs. Depending if you like a more sophisticated cookie or the BEST CHOCOLATE CHIP COOKIES, the verdict was clear. 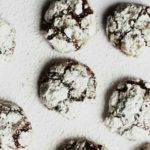 This perfectly easy cookie recipe was the crowd favorite! I can tell you she does have a fabulous recipe. But I can also tell you with bold confidence; my homemade chocolate chip cookie recipe is fierce. 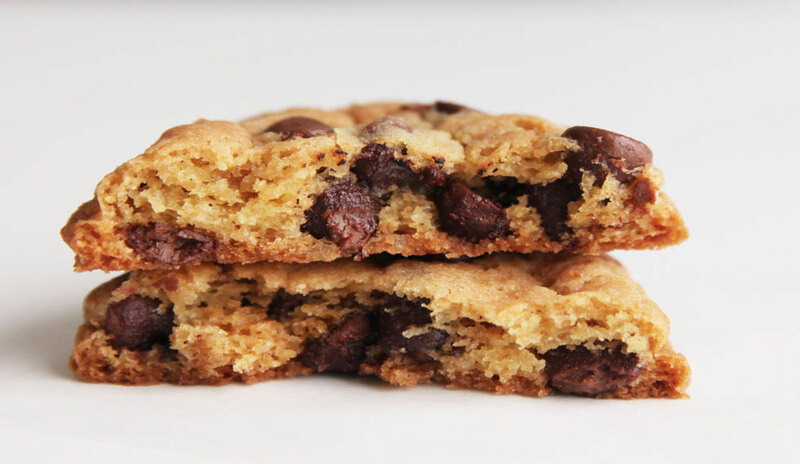 Who doesn’t love chewy caramel edges and soft centers loaded with gooey chocolate chips with hints of sea salt? I mean, c’mon. How much more perfect of a cookie can there be? The reason why I love this chocolate chip cookie recipe so much is the balance of flavor and texture. Not overly sweet, the brown sugar gives the cookie a deeper flavor that only the molasses in the brown sugar brings. It gives it a caramel type chewiness around the edges. As a result, you get a nice paper-thin crisp bottom, but the rest of the cookie is soft and chewy. Using coarse sea salt or kosher salt (over table salt) enhances and intensifies the flavor of the chocolate chips bringing a nice balance to the cookie. I will sometimes sprinkle 3 or 4 flecks of sea salt over each ball of uncooked dough before baking just to get a tiny hit of salt amplifying the chocolate flavor to another level. These are the chocolate chip cookies my Army sister who lives in Germany requests of me to send her because they are all she can think about when she thinks of home. They are the same cookies she shared with her platoon in Iraq and the same chocolate chip cookies I will be sending to her in Afghanistan. I once sent her a batch of a new recipe and trusted me, she noticed. I was told not to deceive her again and send this version only. Moral of the story… Do not trash-talk-tweet if you can’t back it up. And for the record, I can back it up. Enough said. I hope you enjoy the most best ever chocolate chip cookies in the world! *PLEASE do not use table salt, the course sea salt gives the cookies a nice flavor and hints of texture. If you only have table salt, use 1/2 tsp. 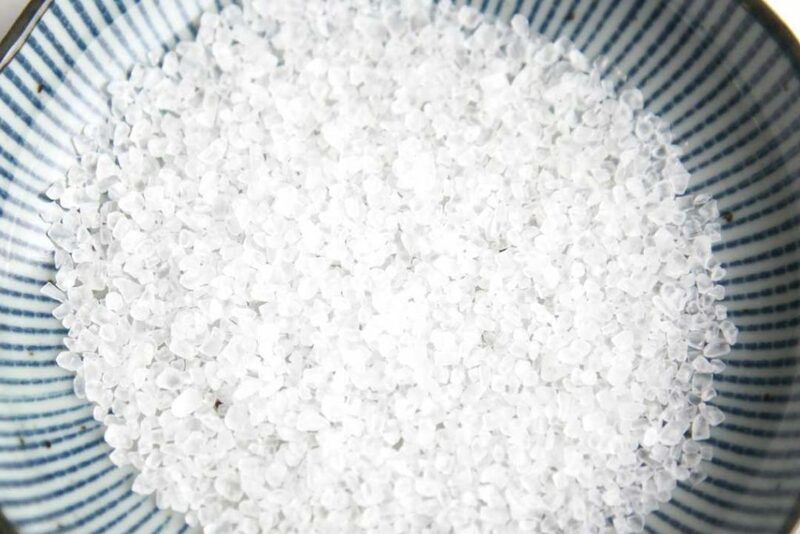 *When using sea salt, you will get small crunchy flecks of salt when you bite into the cookie. If you do not like this taste, go with 1/2 teaspoon of table salt. If you’re cookies are coming out flat and not like the pictures there are probably 4 reasons for this. #1) Your baking powder and baking soda is old. 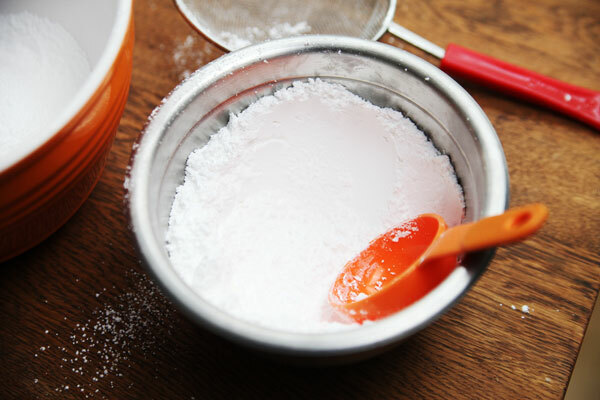 If your baking powder and soda is older than 1 year and has not been in a sealed (preferably air tight) container, it has lost some of it rising properties and isn’t reacting properly. #2) Creaming. 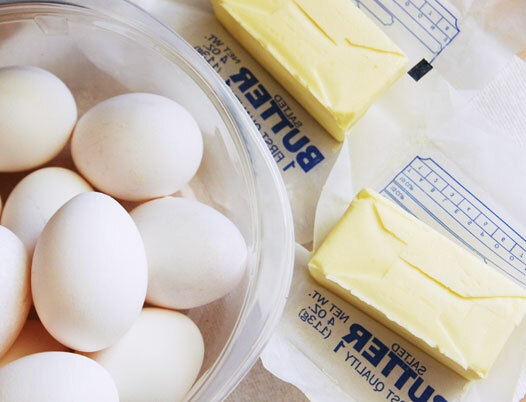 It’s not enough to just cream the butter and sugars until it has come together. 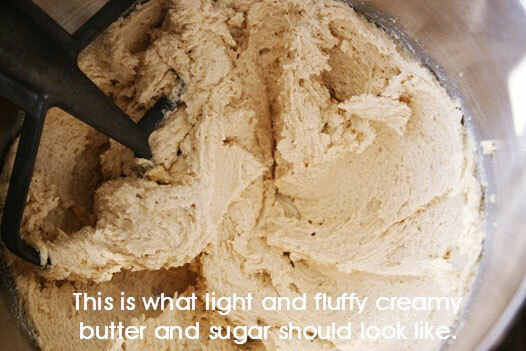 This recipe requires you to beat it with a mixer for 3 minutes until the texture of the butter and sugar turns to light and fluffy-just like the picture. This step is crucial as it whips air into the mixture to help the cookies rise properly. This also helps with the crackled top. If you own a Kitchenaid stand mixer and bake regularly, I HIGHLY recommend purchasing the beater attachment with the silicon edge scraper. I’ve own two of these beaters because it saves me a step from having to stop the mixer to scrape the bowl down. I haven’t used the medal attachment for years since discovering the scraper attachment. I hate having to scrape the bowl down when baking and this attachment makes for a better workflow for me. I recommend this KitchenAid KFE5T Flex Edge Beater for Tilt-Head Stand Mixers . #3) Too little or too much flour. Flour should be weighed. This can make or break the recipe because just scooping flour into a measuring cup will never yield ideal or consistent results. Because all measuring cups are not manufactured exactly the same, weighing the flour is the only real way to measure correctly. 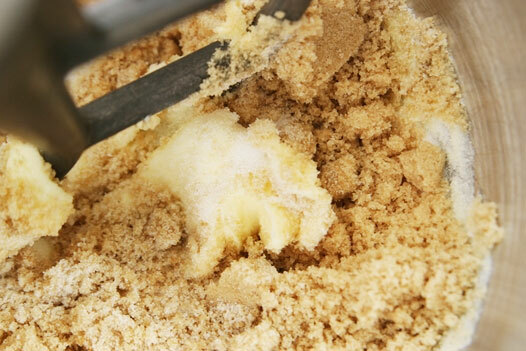 If too little flour is used, the fat content in the butter will cause the cookies to spread more than usual. A good inexpensive digital scale (like this one Ozeri ZK14-S Pronto Digital Multifunction Kitchen Scale) pays for itself in joy and peace. Don’t let too much or too little flour ruin your baked goods you’ve worked so hard on. I own an older version of this scale and I use it nearly daily for weighing ingredients. #4) Parchment paper vs. silicon mat – I’ve literally baked these cookies a gazillion times and I’ve noticed when I bake the cookies on parchment paper they hold their shape much better than the silicon mat. I get inconsistent results with the mat because of the natural wear and tear on them. A NEW mat will prevent the cookies from spreading a lot better than a really worn one. But parchment paper always yields the the most consistent results! I’ve used Reynolds Kitchens Cookie Baking Sheets Parchment Paper (Non-Stick, 22 Sheets) with very good results! * I know most bags of chocolate chips are 12 oz but this recipe requires a lot of chocolate chips to help bulk the cookie up. You’ll need approximately 1.5 bags. I’ve found towards the last of the dough I sometimes add a small handful of extra chips because when we scoop cookies we tend to scrape just dough off the scoop and the last of the dough has a lot less chocolate. *If you like your cookies to look uniform and the same size, please use a cookie scoop. It makes all the difference and works a lot better than the spoon method. I own this OXO Good Grips Medium Cookie Scoop . I’ve had it for 10 years strong and it is my go to tool from scooping cookies to scooping mini-scoops of ice cream. *For those of you interested in freezing your dough for future use, here’s a great article on HOW TO FREEZE COOKIE DOUGH. Having pre-frozen balls of dough is great when you need to bake a batch for future use. I PRESENT TO YOU, THE AWARD-WINNING BEST CHOCOLATE CHIP COOKIE RECIPE, EVER! 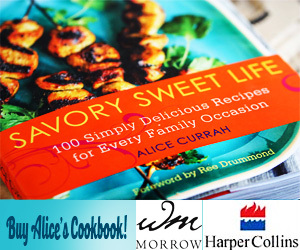 ALICE RECOMMENDS THESE COOKIE RECIPES FOR YOU TO CONSIDER! 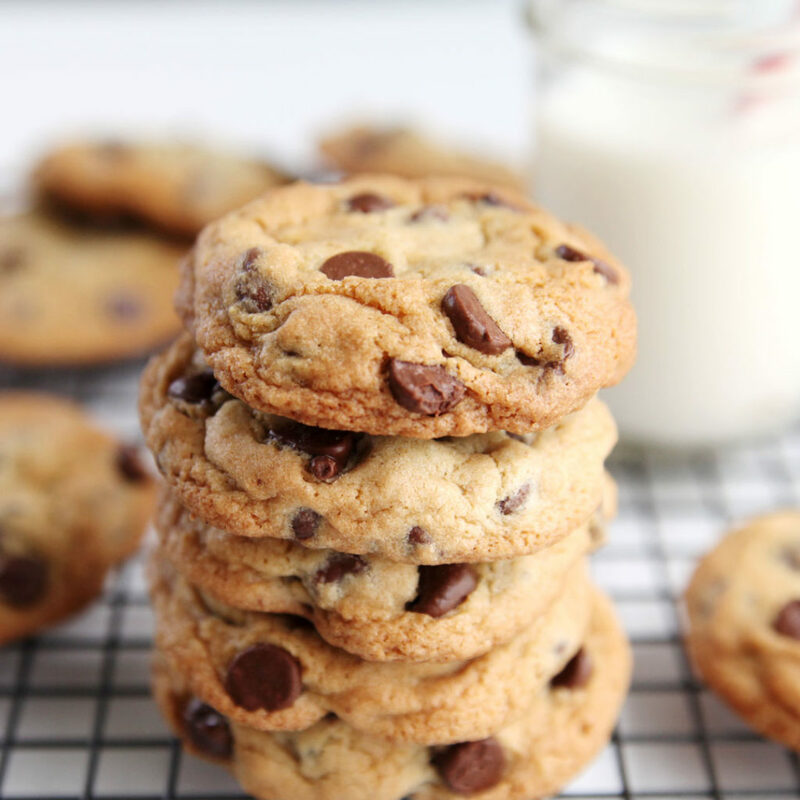 The Best Chocolate Chip Cookies Recipe EVER! The most popular and loved chocolate chip cookie recipe on the internet, Alice's famous award-winning cookie recipe will become your favorite too! Preheat the oven to 360 degrees. This is not a typo.. three hundred and sixty. Add both eggs and vanilla and beat for an additional 2 minutes on medium. Add baking soda, baking powder, salt, and flour until cookie batter is fully incorporated. Finally add chocolate chips until well distributed. The cookie batter should be somewhat thick. Drop about 2 tablespoons of dough or use a medium cookie scoop and plop the batter onto a baking sheet lined with parchment paper. Bake for 12-14 minutes until the edges are golden brown. Remove from the heat and allow the cookies to stay on the cookie sheet for an additional 2 minutes. Pick up the parchment paper with the cookies still on top and transfer to a cool non-porous surface. 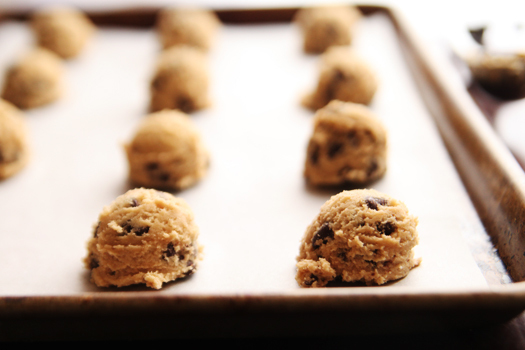 Allow the cookies to cool on the paper for at least 3 minutes before serving. Enjoy! Yes, this is true. Also true is when the butter is overly soft due to microwaving. Thanks for your humidity tip! 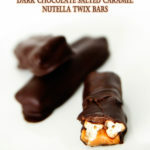 Hi, I add toffee pieces but have never added pretzels! On my holiday to do list – thanks for the tip! 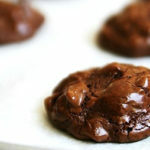 My FAV Choc Cookie recipe.. but of course I made it ‘my own’ as well. I add 1/4 cp of SKOR pieces and a half cup of Crushed pretzels. AMAZING. Thank you, its hard to find a great cookie recipe! I realized another reason these cookies can turn out flat sometimes is the humidity. I notice when I bakes these cookies in the summer, when the humidity is high, they are flatter because some ingredients are pulling moisture from the air. Whereas when baked in the winter, when it’s less humid, the cookies are so much thicker. The recipe quantities haven’t changed at all. It’s always been 1.5 cups. Did the amount of brown sugar change? I don’t remember it being 1.5 cups… if it did indeed change, can you remind me of the prior quantity? The recipe was great already! Thanks. These cookies were great! My family loves them. Hi Louise, This recipe never called for chilling the dough although I know some recipes do. Hope this helps! Hi Liz, I would just stick with the unsalted butter and then add a few flecks of coarse kosher salt to every ball of dough. Hi, I’m afraid I must use unsalted butter.. would you recommend adding more kosher salt? Did this recipe used to call for chilling the dough in the fridge?? I’m curious why you removed that step if that was the case. I could have sworn it used to be part of this recipe. To be absolutely honest I’ve never chilled my cookie dough before cooking, and never had an issue with the final product! The recipe calls for eggs. Do I use medium, large or extra large eggs? I’ve used this recipe for years and don’t see myself ever using another! I usually substitute half the chocolate chips for nuts. Love! Absolutely! You could add 1 cup chopped walnuts!